Marvel Dice Masters: Iron Man and War Machine introduces new spins on 8 Marvel heroes (and their dice! 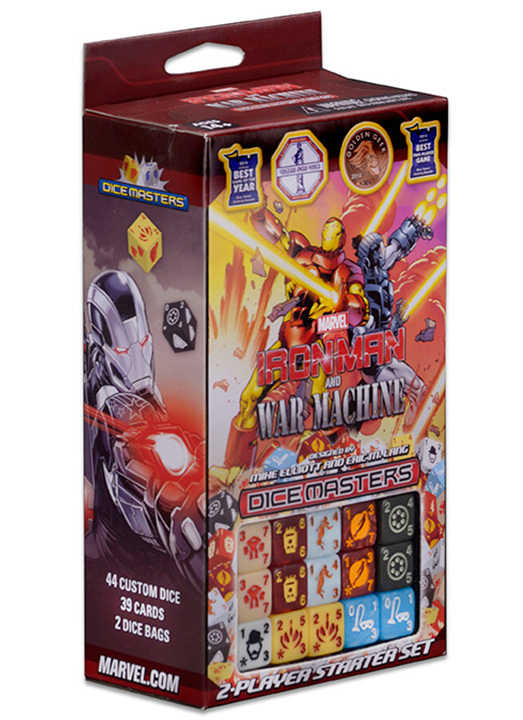 ), Marvel Dice Masters: Iron Man and War Machine Starter Set will be sure to light a fire under you to play Dice Masters! 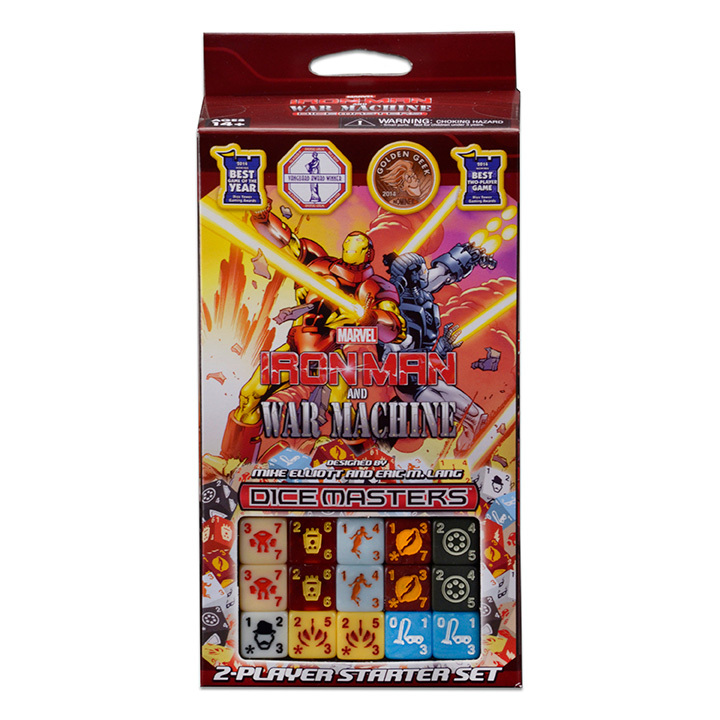 The Marvel Dice Masters: Iron Man and War Machine Starter Set features fan favorite characters like Iron Man, War Machine, Howard Stark, and Rescue! It will also reveal versions of Iron Man’s armor NEVER BEFORE SEEN in Dice Masters! 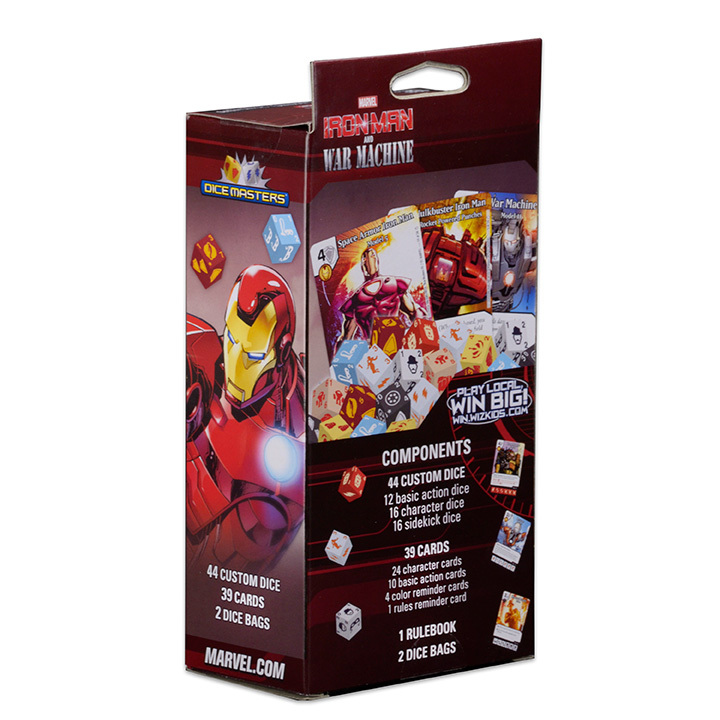 The Marvel Dice Masters: Iron Man and War Machine Starter Set is the first annual Starter Set and will not be linked to a larger release. 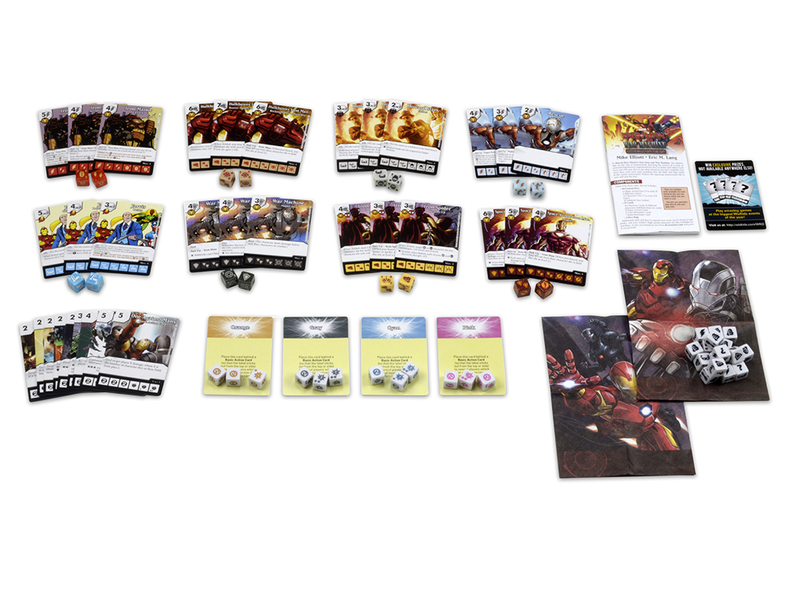 With game-play that supports two players in epic dice battles, Marvel Dice Masters: Iron Man and War Machine Starter Set will let players build their own team of heroes! 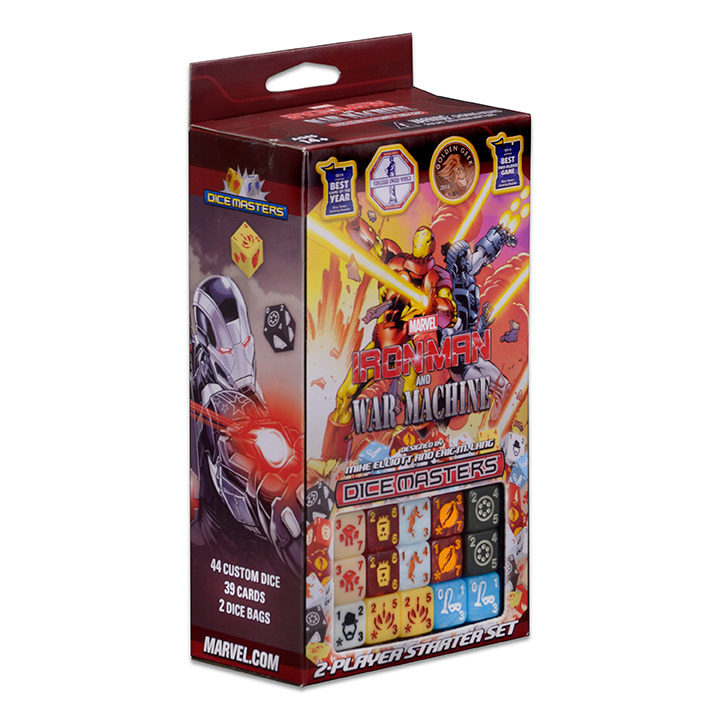 The Marvel Dice Masters: Iron Man and War Machine Starter Set is perfect for the Dice Masters veteran or someone looking to jump into the game fresh!